SHEREL MONEY: Kylain Kennels in Melbourne, Victoria, Australia. KELLI COLLINS: South Eastern K9 Academy. Atlanta, Georgia. 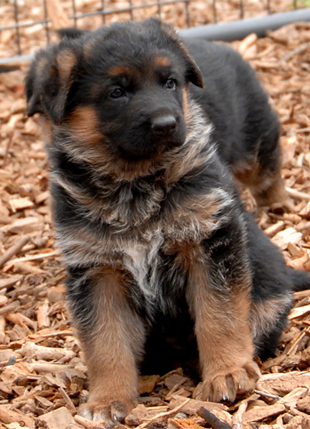 GSD ONLINE: German shepherd pedigree database, breeders and resources. THE CANINE COLLEGE: Dave Coop, Master Dog Trainer. Centennial, Colorado. ROYAL CANIN: The dog food our dogs love and we highly recommend. NATURE MIX USA: Natural health products for dogs, cats and horses. HOOF-AND-PAWS IMAGES: Photography and videography of dogs and horses. SV - Verein für Deutsche Schäferhunde : Official web site for the German national breed club in Germany. 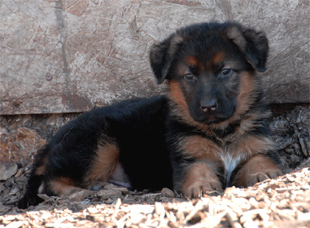 GSD ONLINE: German shepherd pedigree database, breeders, resources for the German shepherd dog. Ballarat Branch GSD Club Victoria - Provides obedience classes, tracking, agility and show training, and puppy classes. Events, results, and photo gallery. Australia. British Association for German Shepherd Dogs, Huddersfield Branch - Club focusing on puppy socialization, obedience, agility and ringcraft training. Includes class descriptions and photographs. British Columbia German Shepherd Dog Club - Club and membership information, events, accomplishments, hero award, temperament test and health information, activities for the GSD, and photographs. Duston GSD Training Club - Teaching owners of German Shepherd Dogs. Includes schedule of events, newsletters [PDF], local law, and links. Northamptonshire, United Kingdom. Estonian Association of German Shepherds - Association information, show schedule and results, working trials and training schedule, Körung results, breeders, archives, and links. German Shepherd Dog Association of Western Australia - Information on events, membership, and club facilities. German Shepherd Dog Club of America - GSDCA organization and breed information, events calendar, show results, temperament test details. German Shepherd Dog Club of Anne Arundel - Club activities, events, show results, rescue, and membership information. Maryland. German Shepherd Dog Club of Canada - Provides information on the breed, shows, events calendar, and member information and application. Arthur, Ontario. German Shepherd Dog Club Of Ireland - WUSV and IKC affiliated club offering breed shows, surveys, training classes, and seminars. Includes events list and show results, critiques, and photographs. German Shepherd Dog Club of Long Beach - Club officers list with email contacts. German Shepherd Dog Club of Los Angeles County - Show results, club officers, and membership information. German Shepherd Dog Club of Manitoba - Classes, events, show results, breeders, membership information with online application. German Shepherd Dog Club of Oklahoma - Events, classes. Located in central Oklahoma. The German Shepherd Dog Club of Rochester, NY - Enthusiast club that hosts shows, matches, and seminars. Includes articles and advice, upcoming and previous events in the area, and links to nearby rescue organizations. German Shepherd Dog Club of San Diego Co. - Diverse membership active in AKC and SV conformation, obedience, sports, and working trials. Includes events and photo galleries. California. German Shepherd Dog Club of Southern Arizona - Includes events and show results. German Shepherd Dog Club of the Pacific Northwest - Membership application, and show results. German Shepherd Dog Club of the Quad Cities - Club news, calendar of events, membership information. Iowa and Illinois. German Shepherd Dog League NSW Inc - Breed information, puppy listings, hereditary disease information, training and locations, upcoming events, results of recent club activities and related links. New South Wales, Australia. German Shepherd Dog League of Great Britain - Membership information, show dates and results, newsletter, and articles. German Shepherd Dog of America - Working Dog Association - A non-profit organization dedicated to the welfare and betterment of the German Shepherd Dog through demonstrated working abilities and conformation to the international breed standard. List of member clubs, events, and applications. German Shepherd Schutzhund Club of Canada - Club information, contact and links to member clubs, breed standard, events and results, articles, merchandise and bookstore. 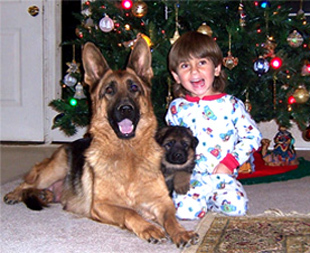 German Shepherds Dog Club of Israel - Club information, show results, training, photographs, mailing list, forum, and links. Good Hope Club - WUSV-affiliated club focusing on training. Calendar of breed shows, surveys, and trials, results, breeder listings, photo gallery, and links. South Africa. GSA Ireland - WUSV affiliate training club with groups around the country. News, SV breed standard, membership, contact information, and links. North Eastern German Shepherd Dog Club - Club information, event schedule, show results, information about buying a GSD and tattooing, Fred Lanting profile, rescue contact list, and links. United Kingdom. Northern Lights German Shepherd Dog Club - Club activities, show dates, brags and photographs, and links. Edmonton. Northern New Jersey German Shepherd Dog Club - Founded in 1954, dedicated to the betterment of the breed through obedience training, show handling classes, and educational lectures. Schedule of classes and lectures, membership application, and links. Nova Scotia German Shepherd Dog Club - Club information, activities, upcoming shows, show results, titles, links, and GSD standards, care, buyers' tips, and health concerns. Official Swedish German Shepherd Club - Club history, shows, trials, club magazine. Bilingual. Orange Coast German Shepherd Dog Club - Show results, and membership information. California. Ottawa Area German Shepherd Dog Club - Promoting responsible ownership of the German Shepherd Dog. Club information, local GSD events and breeders, and links of local interest. Rocky Mountain German Shepherd Dog Club - AKC and GSDCA sactioned club offering monthly meetings and specialty shows. Includes events calendar, photographs, rescue contacts, and a membership application. Denver, Colorado. S.A. Alsatian (Shepherd Dog) Club - Kennel Union of South Africa affiliated breeding and obedience training club founded in 1922. Includes membership information and training and events schedules. Wellington District German Shepherd Dog Club - NZKC affiliated club offering obedience and show training. Includes news, show results, photo galleries, breed standards, listing of NZ GSD clubs, and links. Taita, Lower Hutt, New Zealand. West Yorkshire German Shepherd Dog Club - Promoting the German Shepherd in the UK through responsible ownership and training. Show results and history. Wythall and District GSD Training Club - Pet training, including obedience, agility and socializing, using toys and tidbits. Club information, events calendar, FAQ, photo gallery, dog humor, and links. Birmingham, United Kingdom.